MYRTLE BEACH, SC (WMBF) - Recent years have reaffirmed that floods are some of the most dangerous natural disasters to impact the area, which means being prepared is essential. "Resilience is really understanding not only what has happened, but what could happen," said Rob Flaner, a hazard mitigation program manager with Tetra Tech. As a coastal area, the city of Myrtle Beach received praise on flood preparedness from government officials and hazard mitigation specialists with the Environmental Protection Agency. "The city has a good handle on what the needs are, but that said, do we really know the flood risk is?" Flaner asked. "That's the million dollar question." It's a question that city officials hope can be answered with help from the community. "We might be able to do better with getting our message out, making it clearer and easier to understand where the flood risk lies and what you can do to avoid it on your own," said Allison Hardin, a planner with the city of Myrtle Beach. Feedback from the community is essential since Federal Emergency Management Agency flood maps only show where floods have happened in the past. They do not project the future. Helping officials accurately track those areas at risk of flooding starts with acting as a set of eyes in individual neighborhoods during a flood. "Something as simple as a photograph on your phone or quick video can tell a huge story about how that flood acted," Flaner said. "So then, we can go back and go 'It acted this way because ...'"
Between the 2015 flood and Hurricane Matthew, experts have had new experiences to document. While Flaner hopes the weather quiets down, he also doesn't want it to get too quiet. "We hope there is a lull, but we also hope that that lull doesn't build complacency," he said. The EPA is expected to release their suggestions within a month. 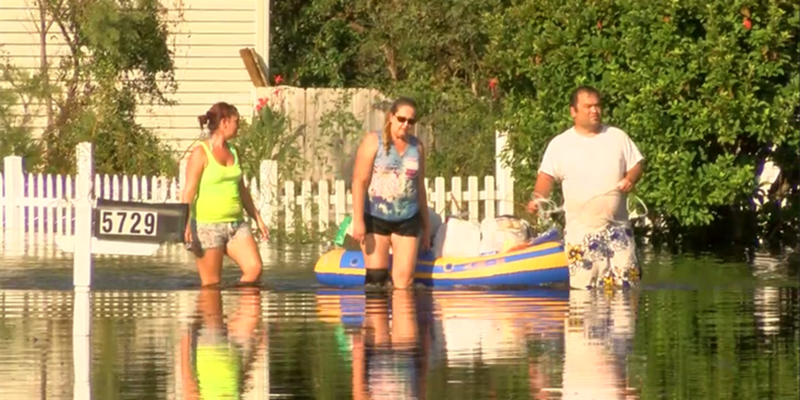 To see which areas in Horry County could be at risk of flooding, click here. Marla knew she wanted to be a meteorologist since the very first time she weather anchored her college newscast. "I was horrible, but I loved it!" she said, as she remembered her early college years.